Why Is David Plouffe Still Asking Me For Money? I got another one this morning, an email from David Plouffe, Barack Obama’s campaign manager, asking for a donation. Plouffe’s email says that it is to help overcome the negative messages of those defenders of the status quo who are calling for Obama to fail. I guess he means Rush. Excuse me, but I was under the impression that President Obama had the resources of the entire executive branch of the U.S. government at his disposal. Why does he need another $25 from me? Come 2011, 2012 I will be ready to donate to his reelection campaign, assuming he continues to have policies that I approve of. I’m not donating to operating budget of the White House. I see, according to the omniscient Wikipedia, that Plouffe does not even have a job with the Obama White Hose. He’s writing a book about the campaign. Do I get a copy of the book for my $25? Photo from LIFE Magazine archive. On Thursday, President Obama signed the long delayed Omnibus Spending Bill. He also said that he was going to do something to control earmarks in the future. Congress had attached some 8,000 earmarks in the bill. Each earmark an example of Congresspeople and Senators bringing home the bacon to their respective districts, or of the other guy’s pork barrel spending. John McCain was quite upset that the President signed this pork laden bill, which enables the Federal Government to continue operating, which the last Congress was unable to pass at all. I guess he should have just shut the Government down instead. When is an earmark bacon and when is it pork? The total cost of the earmarks is less than 2% of the total spending bill. Each of them is for a project that a Congressperson or a Senator asked for in order to benefit that Congresspersons constituents. They go back to their districts and brag about the fine projects that will help the people of their districts, providing much needed jobs, infrastructure or whatever. Republicans do it. 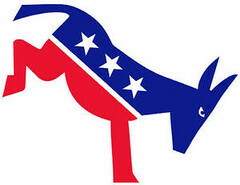 Democrats do it. They talk trash about their neighbor’s pork even while they are bragging on their own bacon. Hey, if it smells like bacon it came from a pig. Bacon and pork are indistinguishable. We can make fun of studies of the sleeping habits of bears in Montana, overhead projectors in Illinois or fish waste processing plants in Mississippi but when you look at individual projects they do seem to be beneficial and not as outlandish as their critics pretend. Maybe the Federal Government should get out of the business of funding school construction, funding research, highway building and job creation. Arizona is doing without, since John McCain refuses to play the game . . . er, he does refuse to bring earmark money to Arizona right? President Obama wants to bring more transparency to the earmark process but not to eliminate them. He would like to see all earmarks published on a website with the names of their Congressional sponsors attached. It will be interesting to see how that works for him. Congresspeople and Senators loves them some earmarks. They don’t care to have a lot of people looking over their shoulders, though. The first district Congressional race has been an interesting one and a cliff hanger this year. 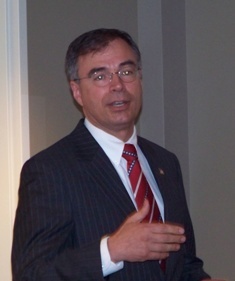 Republican State Senator Andy Harris defeated eight term Congressman Wayne Gilchrest in the primary, running as a more conservative candidate. This opened the race to a serious challenge from the Democrats who nominated Queen Anne’s County prosecutor Frank Kratovil to run for the seat. The first district was designed to be a Republican district in the redistricting after the 2000 census. 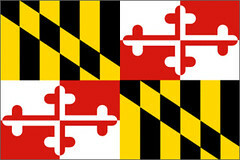 Areas of Baltimore city were removed from the district, so that it included the Republican leaning Eastern Shore counties and some more Republican suburbs in Ann Arundel, Baltimore and Harford counties. This was done, by the State Legislature, to insure the easy reelection of incumbent Democrats in the surrounding districts. The campaign was marked by negative ads from both sides. Kratovil was portrayed as a tax and spend liberal by the Harris camp, although, as a prosecutor, it was hard to find his voting record on budget issues, while, to listen to the Kratovil ads, you would think that Andy Harris was opposed to motherhood, apple pie and the forty hour work week. The vote was too close to call on election night with Kratovil holding a lead of less than 1,000 votes when all polling places were counted, leaving the election to be decided by absentee and provisional ballots. It was expected that Harris would be able to close that lead, on the conventional wisdom that absentee ballots tend to lean more Republican. At last report Kratovil’s lead had grown to more than 2,000 in the absentee count. The Associated Press has called the first district race in Maryland for Frank Kratovil. There are some provisional ballots yet to count and neither Kratovil of Republican Andy Harris has yet claimed victory or conceded defeat. Frank Kratovil can thank Barack Obama for giving him a ride on his coat tails this year. The first district is still the Republican district it was designed to be and he will be facing a strong challenge in 2010.